These self-adhesive NHBC registered builder stickers (280 mm x 180 mm) are ideal for site boards, vans and more. 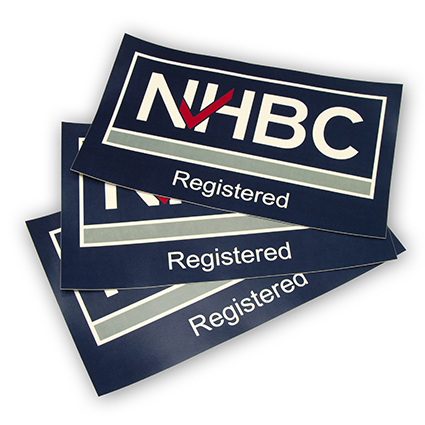 Dispatched in packs of 3, these stickers show site visitors that you are NHBC registered, and that properties on site will be built to the NHBC Standards of construction. The NHBC logo can only be used by registered builders. Only builders and developers who can demonstrate financial security and technical competence are accepted onto our register, and we carry out commercial and technical assessments of all applicant builders and developers before offering ‘registered’ status and granting access to a range of products and services to help them build quality homes.